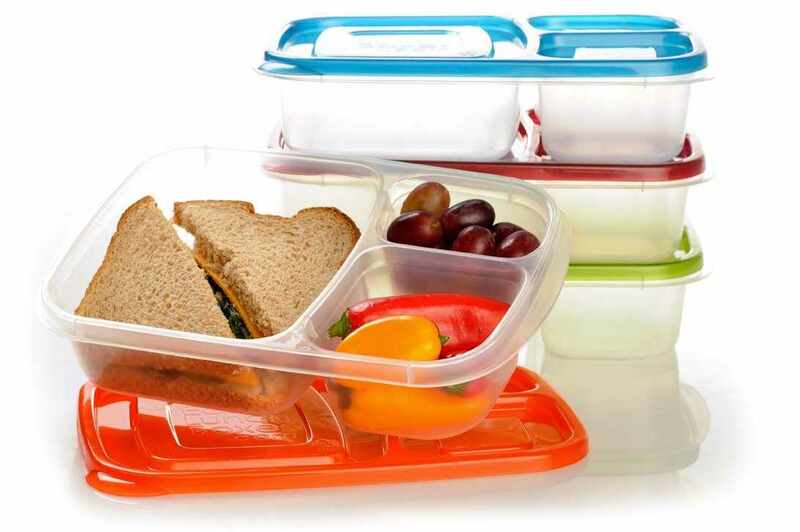 Are you looking for a way to create more heart healthy lunches for you lunch box? Or maybe you have decided to eat healthier and want to stop buying food at the local fast food restaurant, and take your lunch with you, but can’t decide what to pack? If you are, we have some great ideas. Being heart smart and enjoying delicious foods go hand in hand, as an added benefit, you’ll feel and look great too. Instead of a heavy lunch, try a wonderfully filling entrée salad. While you can use any type of leafy greens in your salad and still be heart-smart, consider using spinach as your main greenery. Nutrient rich spinach is high in folate and is proven to prevent heart attacks. Add your favorite vegetables and a lean protein like a skinless chicken breast. Top with slivered almonds or walnuts and blueberries. Almonds and walnuts control blood lipids, while blueberries are full of antioxidants, all of which are important to your heart health. Try these other Chicken Salad ideas from Splendid Recipes and More. Take a whole-wheat tortilla and fill it with cooked brown rice and roasted vegetables. Season with sea salt, pepper and add a dressing of your choice. Roasted vegetables like sweet red peppers, asparagus and broccoli are great choices. Red peppers have plenty of antioxidants and folic acid to promote heart health. Asparagus is rich in potassium, folic acid and soluble fiber, all of which are good for your heart. Broccoli packs a lot of nutrition and also is high in sulforaphane, which can help prevent clogged arteries. The addition of brown rice can help reduce the risk of high blood pressure, and your heart will thank you!! You can’t go wrong with salmon. It’s rich in omega-3, which can help reduce the risk of coronary disease when consumed on a regular base. You can grill or poach salmon and serve it with a nice fruit salsa, like a peach/mango salsa, try our recipe (Peach and Mango Salsa). Add a colorful green salad on the side and you’ve got yourself a delicious lunch. While tuna is not as rich in omega-3 as salmon, it is still a very important source. Make your salad with Greek yogurt instead of mayonnaise, mustard and finely chopped celery. Use 100% whole wheat bread to boost your daily fiber intake, which can help prevent heart problems. Top your sandwich with sliced tomatoes, which can help regulate blood lipids. A classic comfort food, when made with vegetable ingredients, chili is a very heart healthy food. Kidney beans are low in fat, high in soluble fiber and have omega-3 fatty acids. Use fresh tomatoes to make your sauce and load it up with vegetables. You’ll never go wrong by adding a vegetable plate with a Greek yogurt-based dip. Load up with plenty of carrots, broccoli, tomatoes and any of your favorite vegetables. Overall, keep your meals simple. There’s no need to worry about which vegetable has more health benefits than the other. Simply eating a variety of vegetables, whole grains and incorporating fish into your diet will place you on the road to a heart healthy lifestyle. This entry was posted in Reviews - Kitchen Utensils - Cooking - Food and tagged Barbecue chicken, Dietary fiber, Ginger-Poached Salmon with Belgian Endive, Health, Myocardial infarction, Omega-3 fatty acid, Ranch dressing, Salad, Strained yogurt, Tuna fish sandwich. Bookmark the permalink. Great Chef you have there!! Give him my complements!! Hey Jackie, why can’t you have oil? Is it just canola oil? Or also olive oil? What about avocado oil? These lunch box suggestions sound fab! I’m getting a little bored with forever popping into fast food places, supermarkets or restaurants for lunch (and spending a whole ton of money in the latter.) I’d be more than happy to give these a try. I am glad to oblige. I hope you give them a try, and even come up with your own healthy ideas. By taking your lunch you will find you will get more work done, no feeling sluggish after lunch, making it feel the time is dragging on. You will just feel a lot better, and healthier too!! Thanks Signorad for your comment and for stopping by. Have a great weekend! !